Salam Alaykum brothers and sisters! In these last two decades, divorces are increasingly becoming a lot common and this is a very sad occurrence to witness. 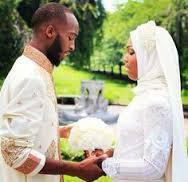 Needless to say, it is difficult to keep up a marriage but I strongly believe that with a strong faith in Allah and true love, anything can be solved. I personally think that one of the most common mistakes, in any type of relationship, is not showing appreciation. No one likes to be taken for granted. Lack of appreciation can quickly lead to resentment. Resentment is a bit the 'cancer' of any relationship. Once the issue is there, it is not easy to get back to how things were initially. So what can we do to avoid this happening? Show appreciation for what your spouse does for the family. Never make your husband feel that he is not doing much for the family or that you are not satisfied with his work or his efforts, unless, of course, he is truly lazy and not even trying to provide for the family. As a righteous wife, there are plenty & simple ways to show appreciation. Smile more, speak more positive talk. Pray together. Even just a simple ' Thank you for being there' can really be all it is needed. Nobody wants to be taken for granted and no-one should be taken for granted. Thank your spouse because they care, not because it’s their job. It might be his job to do certain chores in the house but a simple 'thanks' from his wife might just be all he needs to keep on going. It would be nice to also explain the reasons why. Your spouse would be delighted to know why you are grateful.The Prophet (SAWS) was reported to have said: 'On the Day of Judgment, God will not look upon the woman who has been ungrateful to her husband." And my brothers, you will also have to do your bit. Providing for the house and paying bills is really not enough. Us women are very emotional creaturs as you have probably already gathered. Show your wife that you appreciate her. If she takes care of the house and the children, don't take it for granted. It is hard work, and as I have already mentioned earlier on, no one likes to feel unappreciated.